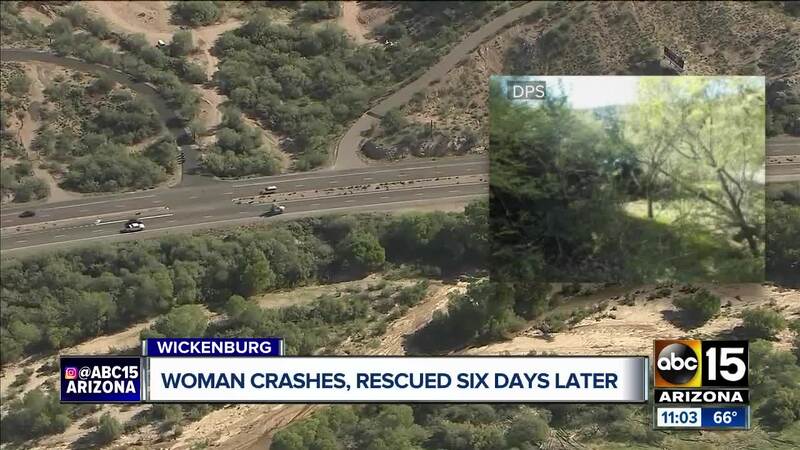 A woman was found alive days after crashing her vehicle in Wickenburg. ABC15's Jamie Warren has the story. 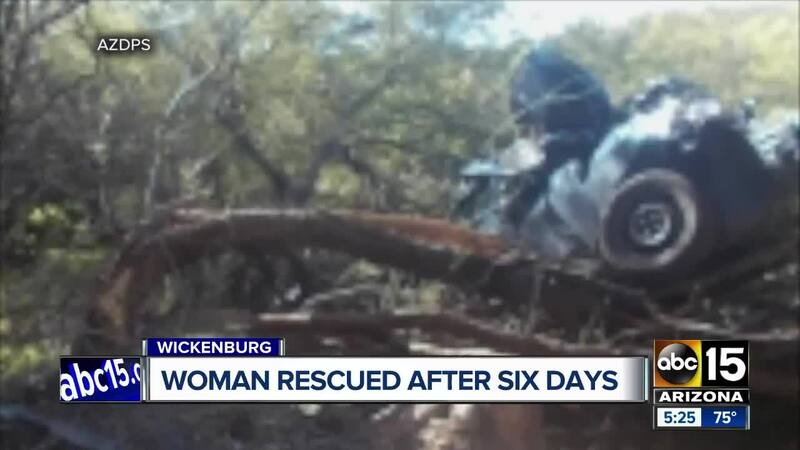 A woman was found nearly a week after crashing her car near Wickenburg earlier this month, officials say. DPS Trooper Caleb Hiegel helped find the woman. The woman said she drank water out of a river and ate grass to stay alive. 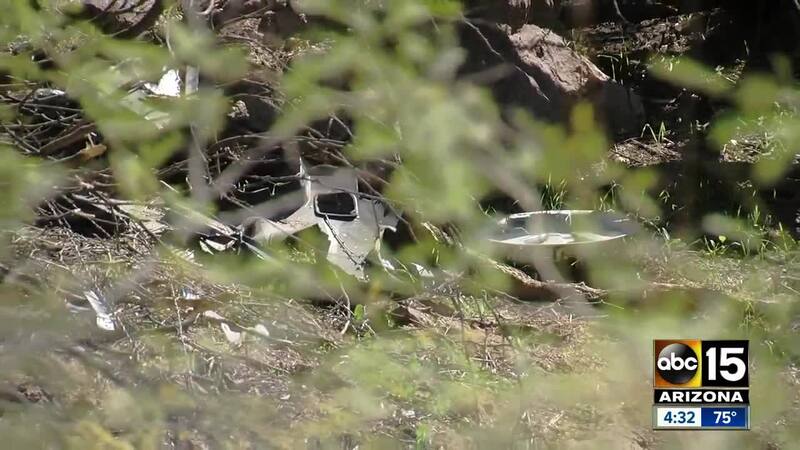 A medical helicopter was called and took her to the hospital for treatment. She has since been released and is recovering at home.